It’s a running joke that Ithaca is “centrally isolated”. Luckily for me, however, I grew up not too far north of Syracuse, so visiting my family for the holidays can also have “pay a visit to Ithaca to update my photo collection” somewhere on the itinerary. Unfortunately, although I had the date planned well in-advance (I even wrote a list of places to visit so I wouldn’t miss any of my intended targets), it also happened to be one of the coldest and snowiest days yet of the upstate winter. The lake effect had set itself up in a large and fairly strong band south of Syracuse, enveloping a wide swath of land from about Ithaca up through Lafayette. With the passage of a cold front the night before, a brisk northwest wind kicked up, turning a snow day into a windy and snowy day, with near-whiteouts on the interstate. Combine that with puddles from the heavy rain of the previous evening freezing over, and the driving was a bit of a harrowing experience. At least the old days of practicing controlled skids in a parking lot came in handy. Anyways, the weather slacked off after lunch and I was able to get some photos. 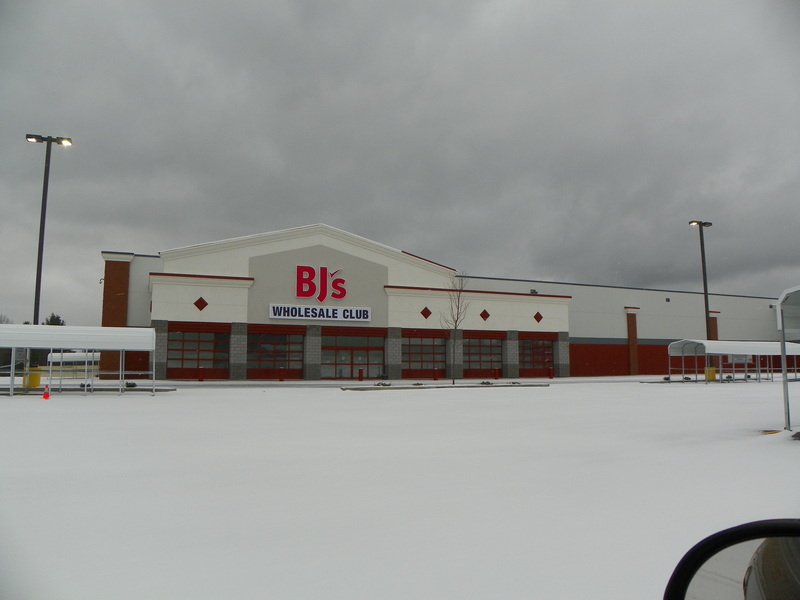 The BJ’s in Lansing (just north of the mall) is near completion. I did not notice any senior homes being built when I visited. 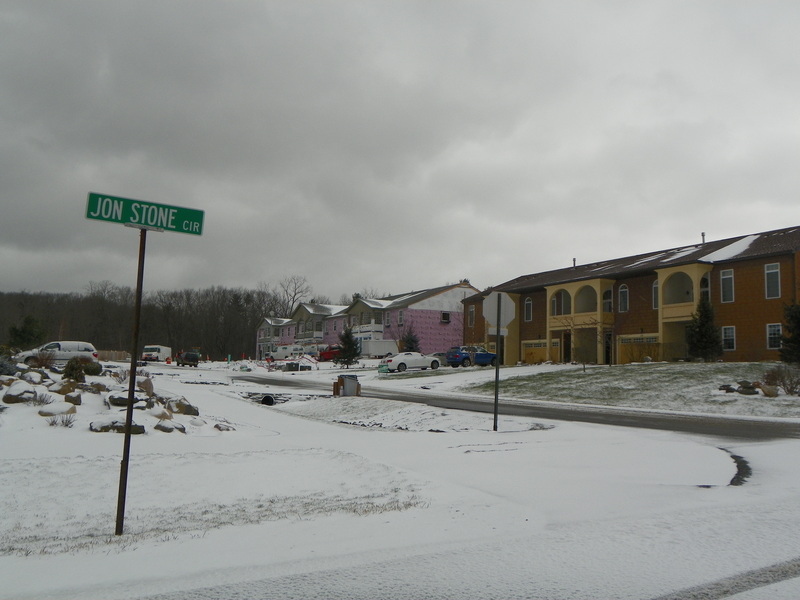 One of the housing projects nearby, Ivar Jonson’s Heights of Lansing. 6 more units of the 80 unit project are under construction in the background. I took photos of some of the Lansing suburban sprawl, but I figured no one would know the difference between a cul-de-sac of McMansions here vs. any other city. I’ll save the photo for another entry that could better use it. 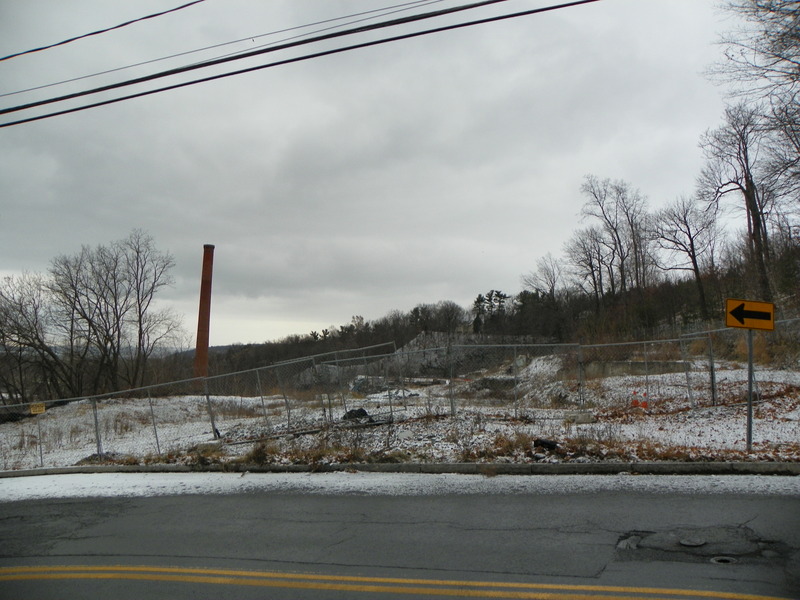 Not much happening with the Ithaca Gun site. The site is cleared, but no construction has taken place. 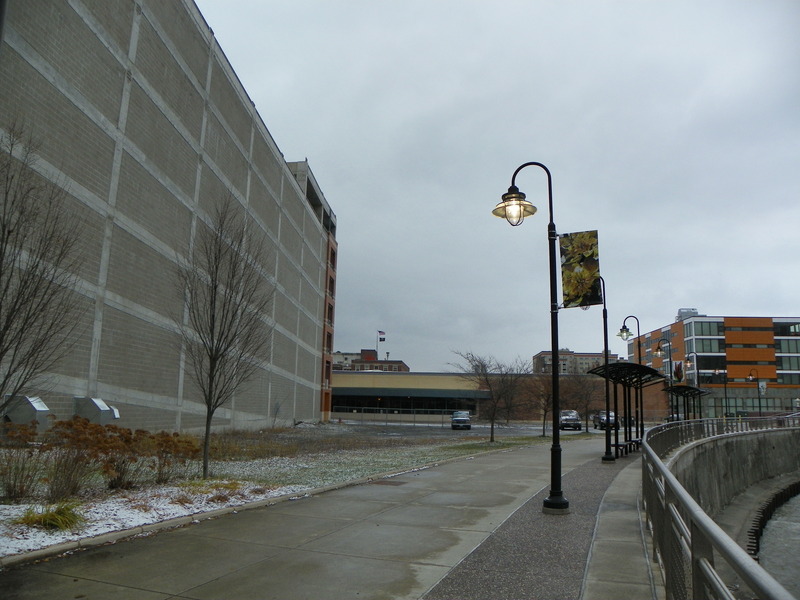 According to an article in the Ithaca Journal, the project is supposed to finish clean-up this year, and the developer plans to finish clean before starting any redevelopment. So probably no construction until 2013. The site of the Breckenridge Place project. The Women’s Community Building’s days are numbered. 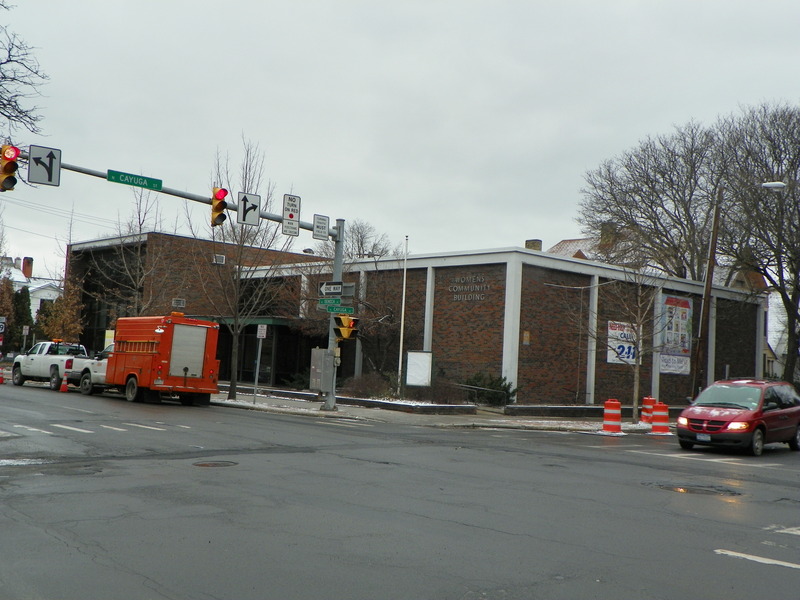 According to a very recent Ithaca Times piece, demolition will occur starting in March. 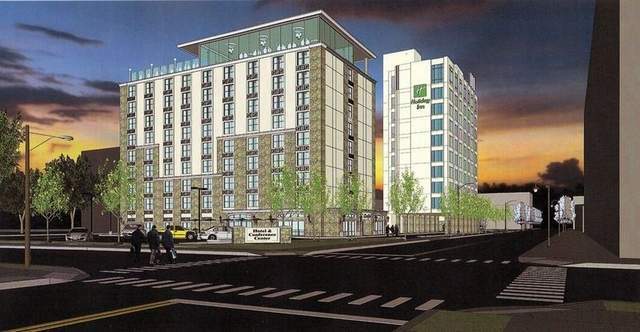 The Holiday Inn has begun the initial phases of proposal with the planning board. The plan calls for the low-rise portion, shown here, to be demolished, with a new conference area and a few more rooms attached to the mid-rise tower of 10 floors. 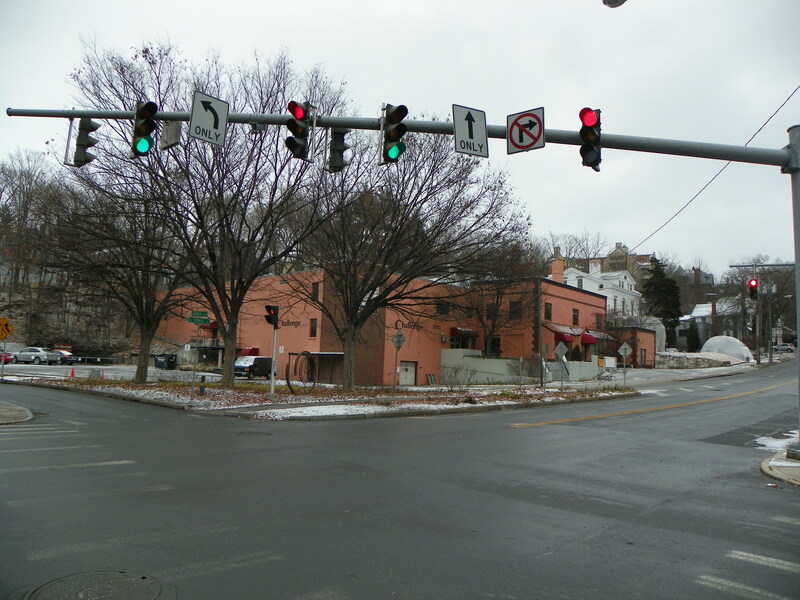 The new hotel would be built at this street corner. I don’t have many faults with the design, except that the east wall looks cheap. Like 1960’s pre-fabricated cheap. 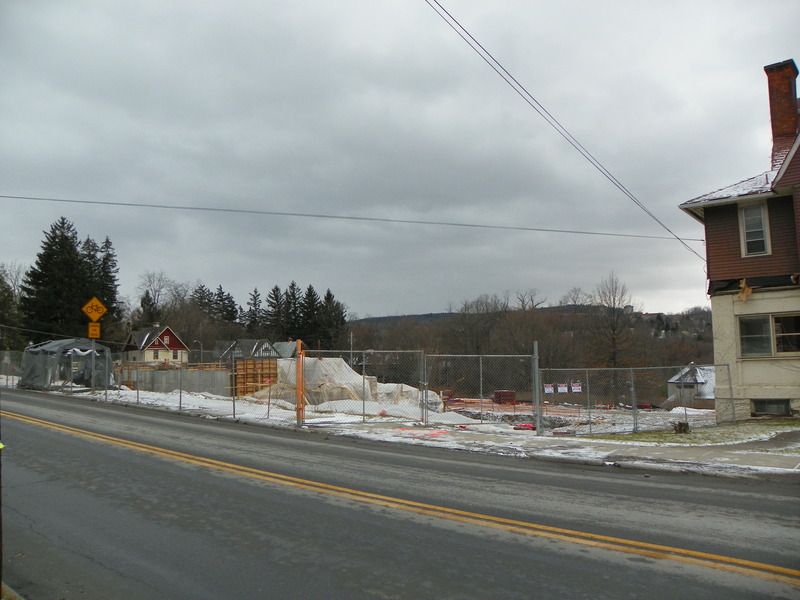 The Cayuga Green Condos site awaits construction. The project is currently unfunded (and therefore stalled), but with a reorganization and a ground floor tenant secured, the developers hope to secure funds and start construction by next summer. It seems I’ll have a plentiful supply of “before” images. This is the Hotel Ithaca site. I’m willing to venture this project is much like the Cayuga Condos – tenant secured (Gemstone Hotels), but no funding yet in place as a result of the tight loan market for new projects. Hopefully, we’ll hear positive news in 2012. Hm. I’m sure things will be much more interesting one year from now. Here’s the Seneca Way Apartments site. The renovation of the Argos Inn (turning a dilapidated house into a LEED-certified boutique hotel) continues in the background. The Seneca Way project will begin demolition of the old Challenge Industries building this spring, and be built on a (slow if steady) 18-24 month time frame. Moving towards Collegetown, it was hard to fully capture the sheer size and scale of the Collegetown Terrace. Simply put, it’s massive. The house in the background to the left is the Williams House; the project extends further up the street beyond that. 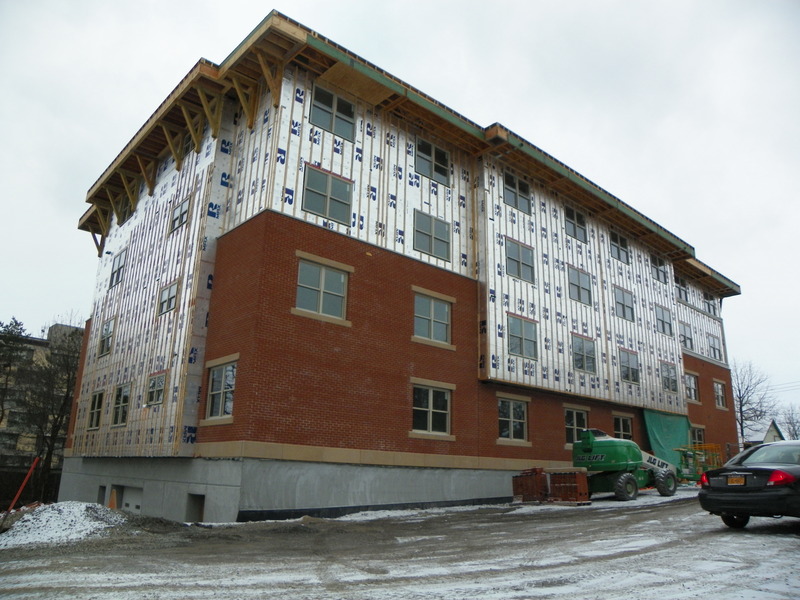 In contrast to Seneca Way, the time frame here is brisk – phase one, consisting of 12 of the 16 new buildings, is expected to be completed by August 2012. The other two phases are expected to be completed in 2013 through early 2014. I did some mental math – the rental market will see Novarr’s 600 beds come online in the next couple of years, which might be around 5% of the total market. That’s quite an impact, most likely to be felt by the student-oriented apartment complexes furthest from campus. The apartment building under construction at 309 Eddy. Look for a completion date around late summer 2012. 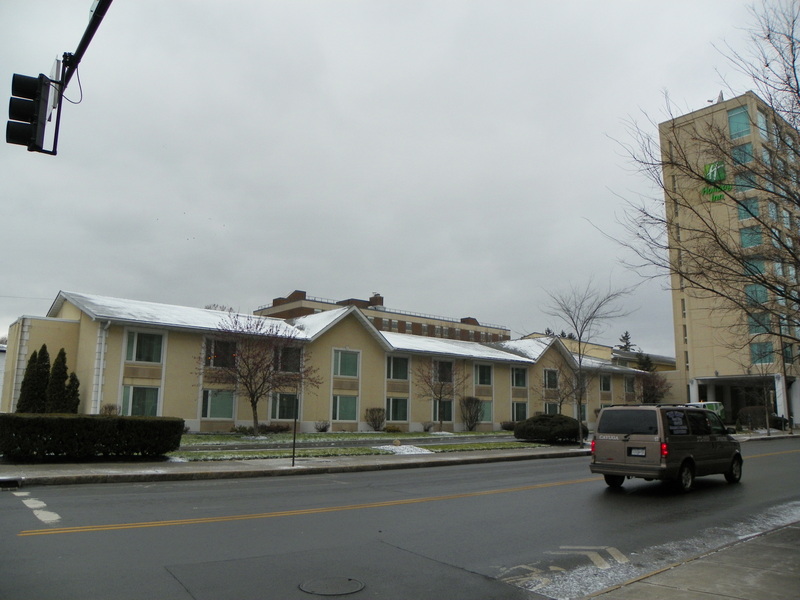 The site of the “Collegetown Crossings” project, formally known as 307 College Avenue. The project is back on the agenda as a sketch proposal, but I’m yet uncertain as to whether it keeps the form of a 6-story 60-unit building with a distinct lack of parking, or if the proposal has been modified. EDIT 1/23/12: The above rendering (from the Sun, courtesy of the City of Ithaca) is the latest design of the project. 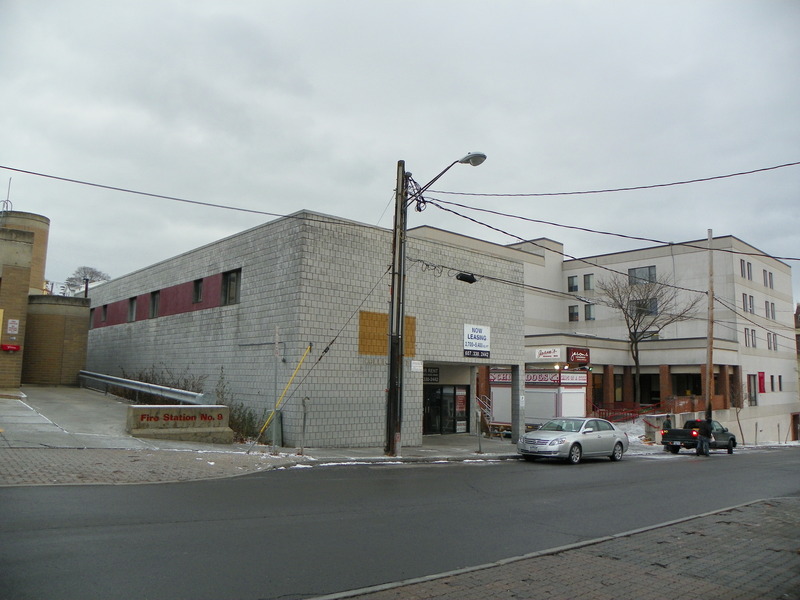 The project, if granted approval, will be home to a Greenstar Co-Op Grocery branch. The building would be complete by 2014. 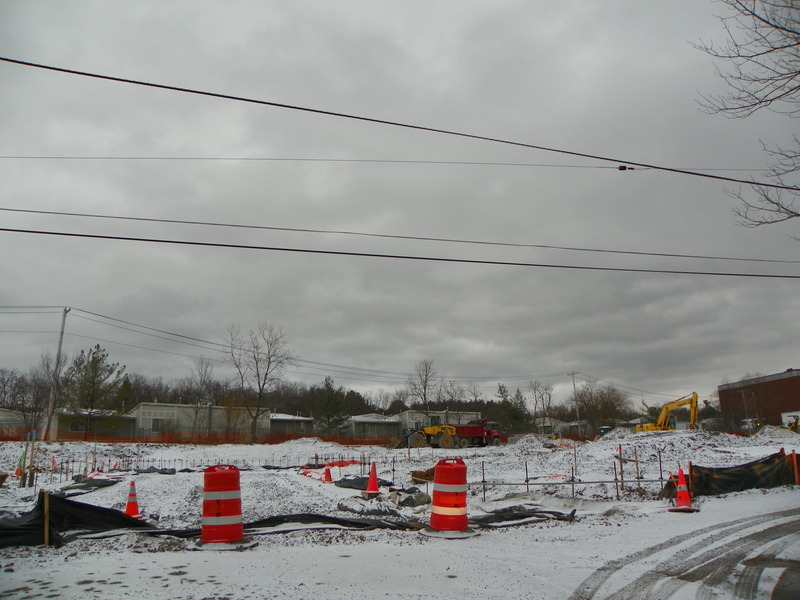 Phase II of the Coal Yard Apartments project off Maple Avenue. 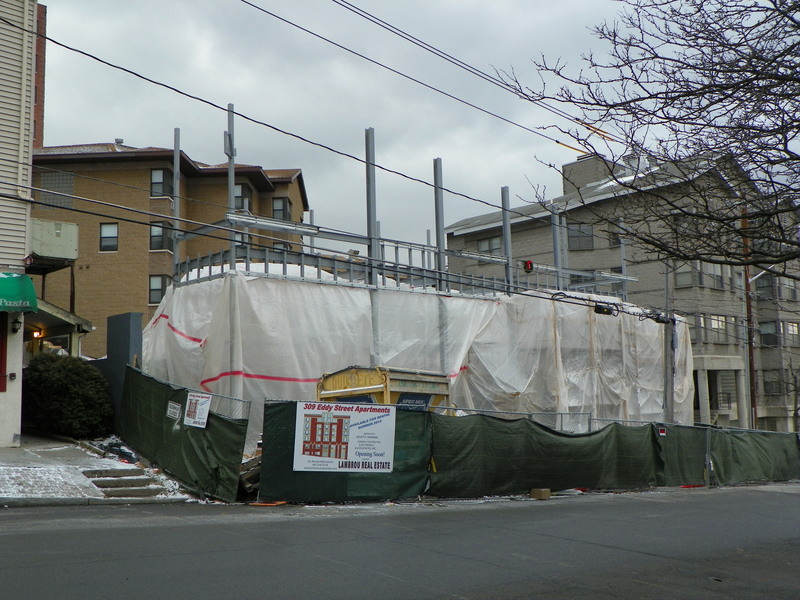 The 4-story, 25-unit project looks to be heading towards a spring 2012 completion date. The site for the Vine Street Cottages project has been cleared. Construction of the model house should be complete by the spring. The 29-unit project (19 homes and 10 townhouses) effectively redevelops the eastern edge of the city (Belle Sherman). Congratulations to Cornell on winning the bid for the NYC Tech Campus. However, to be honest, sometimes I feel like the only alum who doesn’t support the project. By no means do I not want Cornell to succeed as an institution and give a strong education to those that earn entrance into the university. Plus, it seems unusual given my predilection for the development of physical facilities related to Cornell. It’s just…well, it has to do with Cornell’s identity. Take Weill for example. Most Cornellians in Ithaca are vaguely aware of Weill’s existence. Certainly, the folks are aware of Cornell being based in Ithaca. But they both function independently. They’re separate institutions that just happen to be under the same Big Red umbrella. From a bureaucratic standpoint, that’s probably for the best. I expect something similar to shape up in the operation of the new Engineering Graduate Campus in New York City. This has, in some sense, been my concern with the new campus in New York City. Yes, it will inspire entrepreneurship and innovation and all those other cute buzzwords they like to toss out in brochures. People are also free to donate their money as they choose (as it should be). 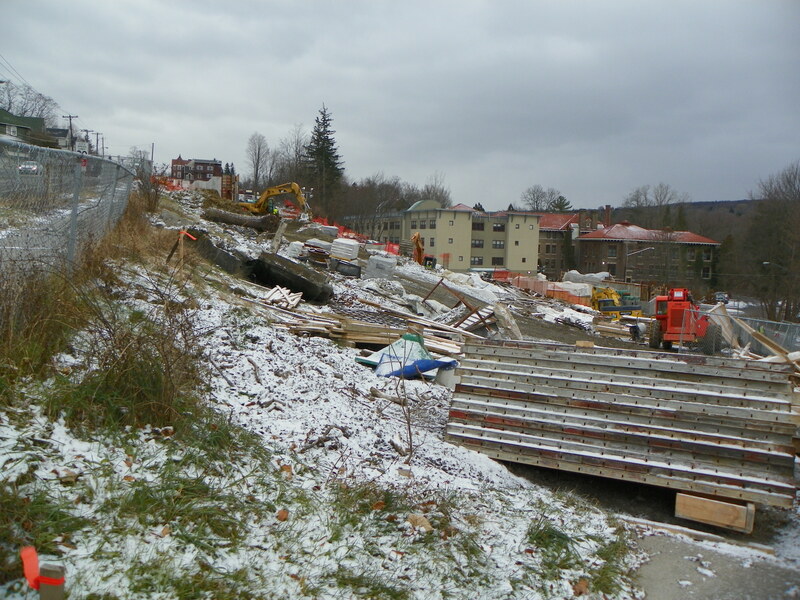 But to what degree does this development of a new campus affect to the main campus in Ithaca? I’m concerned that so much attention will be paid to this new program that many of our alumni (of which 23% live in the NYC area) will donate to the school in their backyard rather than the one five hours away. By establishing another campus, I also worry that there will be less of a sense of a Cornellian – in my wildest imagination, I fear some future New York City campus alumni will self-segregate themselves – the “I’m a Cornell-New York Campus alum, I don’t associate with Cornell-Ithaca alumni and want nothing to do with THAT Cornell”. At least you can take classes in different undergraduate colleges. I see the mixing of Ithaca and New York activities as fairly rare events. Maybe Stanford was afraid of something similar happening, since the campuses would be 1000s of miles apart. Maybe I’m being overprotective of the Ithaca campus, or this post will be written off as whining because I don’t like New York City or I don’t support Cornell’s global mission or whatever other reason that floats their boat. But I get nervous when the emphasis seems to be displaced from the campus that Ezra demanded be on his farm on the hills overlooking Cayuga. At the very least, I’m adding my voice to a silent minority that have concerns regarding the proposal. Whether or not one likes or dislikes Cornell and its environs, the university has been around long enough and produced enough graduates to have a fairly recognizable name as colleges and universities go. I happened to hear from a friend recently who had moved out to Colorado after graduation, and their experience in the Collegiate Peaks of Colorado. When I checked Wikipedia, I was dismayed to find that their were mountains named in those peaks named for Oxford, Harvard, Princeton, Yale and Columbia, but not Cornell. For what it’s worth, it appears they were named in the late 1860s and 1870s, when Cornell was still a fledgling school. But, I decided to do a google search for a “Mt. Cornell”. While there wasn’t a “Mt. Cornell” anywhere in the world, there is a Cornell Peak named in honor of the university. The 9,750 ft. mountain is part of the San Jacinto Mountains in Southern California. The mountain earned its name from a USGS topographer camping in the valley below with a geologist friend who was a graduate of Cornell, and remarked how the peak resembled McGraw Tower in appearance. Personally, I don’t see it, but the topographer named the mountain in honor of the university. Of much lesser note, there is a 3,860 ft. “Cornell Mountain” in the Catskills that is named for Thomas C. Cornell, a distant relative of Ezra. Looking northward to a place even colder and less inviting than Ithaca in winter, on the west coast of Greenland there exists a “Cornell Glacier“. Similarly to the Collegiate Peaks, there is a collegiate set of glaciers in Alaska that Cornell was not a part of, the set consisting of the four aforementioned Ivies and Johns Hopkins. On the more civilized end, the town of Cornell, Wisconsin (population 1467 as of the 2010 census) is named for Ezra and the university, due to its placement on the lands that the university once held as part of the Morrill land-grant in the late 19th century. The university has given this some light attention to this connection by writing an article referring to a blog written by a Cornell alum and his fact-finding adventures in the small community in northern cheesehead country. Apparently, the town was originally named Brunet Falls and is famous for having the only surviving pulpwood stacker, and like many other small towns with minor claims to fame, they make a festival out of it (considering my hometown’s claim to fame is the method a hose is laid on a fire engine, I have no right to be critical). Although it’s hard to tell whether communities named Cornell are named after Cornell U. or someone who happens that surname, at least two unincorporated communities are named for the school far above Cayuga, one in the U.P. of Michigan and one in Southern California north of Malibu (and a fair 100 miles from Cornell Peak). Cornell, Illinois and Cornell, Ontario are not related to the university. Lest one try to limit themselves to the Earth, an asteroid was named in honor of Cornell in 1999 (8250 Cornell). I guess the next astronomical goal should be a large crater somewhere. If it’s any consolation to the folks associated with Cornell College, they have a species of tropical fly named for their school. As would be expected for any major university, Not every plan for a new buildng at Cornell came to fruition. Sometimes, it was because the plan didn’t have funds, or the demand for space had ebbed. 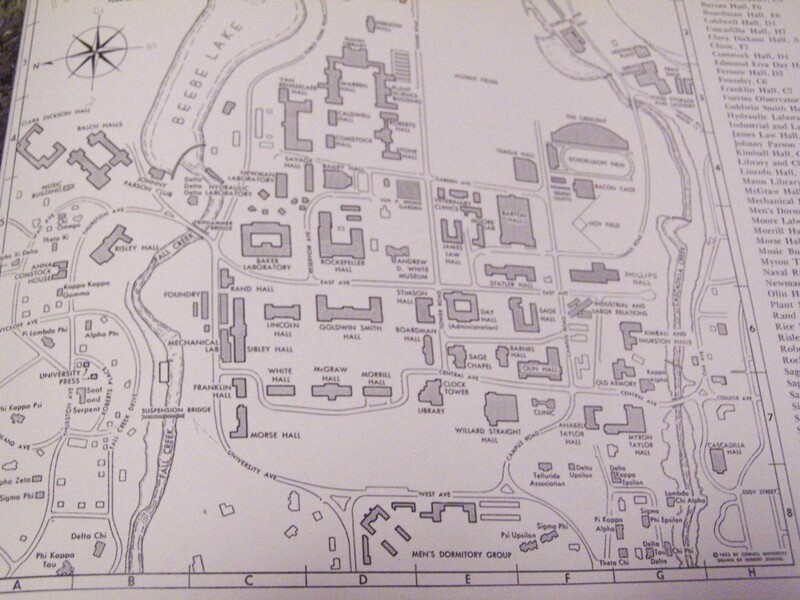 With the original plans for Cornell’s Industrial and Labor Relations (ILR) school, it was all about the location. The ILR school is quite young, having opened its doors on November 1, 1945. 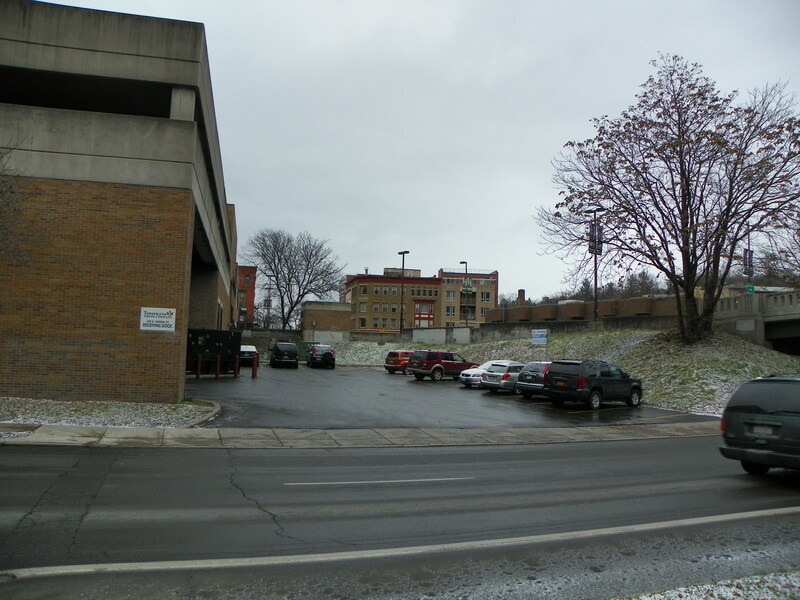 The original facilities were in temporary wooden lodging on Sage Green (the western and southern grounds next to Sage Hall, in the days before the loading dock/drive for the Cornell Store and the parking lot south of Sage Hall). The school had originally been conceived a decade or so prior, and by 1944 the state gave Cornell its monetary blessing, foregoing counter-offers for a labor college at Syracuse University or Union College in Albany (Bishop, 568). On the other end, the president of Cornell at the time, Edmund Ezra Day, had to contend with unamused industrialists and farmers among its alumni who felt that such a school was unnecessary. The state was proud of its newest educational creation (in the days prior to the massive proliferation of modernist/brutalist SUNY campuses), and drew up plans for permanent housing for the ILR school. The original plans were produced at a cost of $80,000 at the time, but never came close to construction due to some very angry Cornell alumni and students. 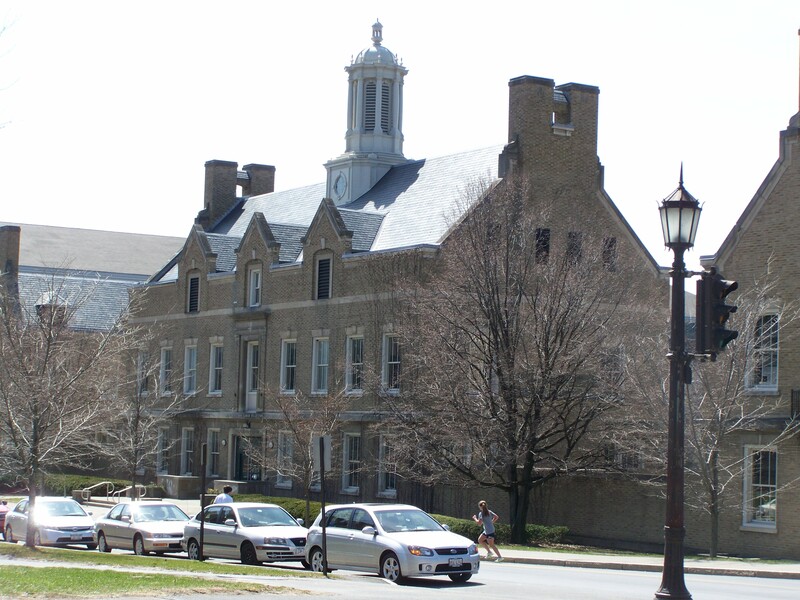 Phillips Hall and Teagle Hall were not yet built (both were completed in the early 1950s), so the area was really only Barton Hall and the athletic facilities. The Buildings and Grounds Committee at Cornell picked a site on Campus Road, where Phillips Hall was built a couple years later, but with a larger footprint that would’ve required the removal of Hoy Field (which is aligned directly south in this map – it was redone to face southwest about five years ago). A tempest of outcries ensued. It was firmly believed that Hoy Field had been donated by the alumni to be used in perpetuity for athletic purposes. Suddenly, different alumni groups were protesting “The invasion of Hoy Field”, and the Association of Class Secretaries filed complaints and letters of concern with Cornell, along with written protests from 53 undergraduate student groups. President Day and the committee gave up on the plan. The state was not pleased by the reception, and so the ILR school was kept in the dreary wooden temp buildings until the Vet School’s new Schurman Hall was built in the late 1950s, and ILR could move into what used to be the Vet School buildings at the corner of Tower and Garden Road. The rather pretty if utilitarian ca. 1896 James Law Hall was demolished to make way for Ives Hall. But, In the long run, the administration was rather glad it hadn’t built the ILR school on that plot of land, as it allowed the full build-out of the Engineering Quad. Now, fast-forward to today, and consider the positioning of the soon-to-be Gates Hall, and the master plan’s removal of Hoy Field. I wonder if such an outcry would arise today, as it seems once again that the end of Hoy Field as we know it is drawing near.